It's official: Pennywise, the flesh-eating clown returns to theaters two years from now and 27 years in plot on September 6, 2019 — It's no surprise the sequel to New Line and Warner Bros. horror phenomenon receives the post-Labor Day holiday release date in an attempt to recreate and potentially shatter IT's record-breaking $123 million dollar September debut. 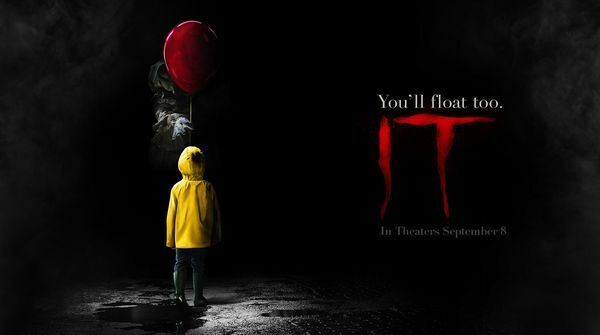 In a week where mother nature hit hard, Warner Bros. provided a much needed diversion by way of a flesh-eating, fear-inducing killer clown. 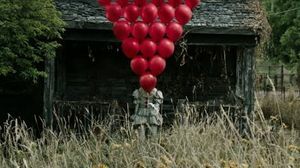 — Warner Bros. and New Line's North American weekend estimate brings the latest adaptation of Stephen King's IT at $123 million, surpassing their initial $117 million forecast. 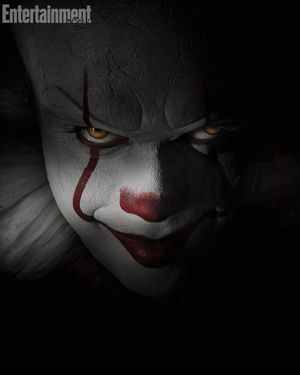 IT screened in over 4,100 US theaters and opened in international 46 markets, shattering North America's largest opening for a September release, eclipsing Hotel Transylvania 2 ($48 million) by over 60% while simultaneously eclipsing North America's largest opening for an R-rated horror by over 57%, previously held by Paranormal Activity 3 ($52 million). 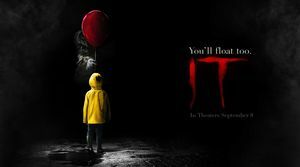 “It” is the latest highly-anticipated adaptation of a very popular Stephen King novel. 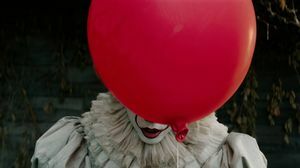 Though, much like Jordan Pelle's very effective “Get Out” from earlier this year, “It” isn’t really a horror film. 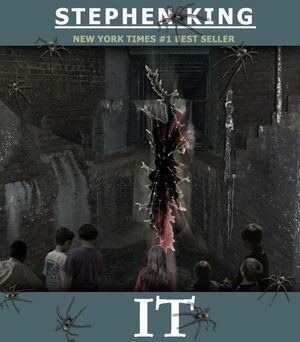 Instead, what it is…or… I guess...what “It” is, is a creepy tale of a small town and an angry clown. 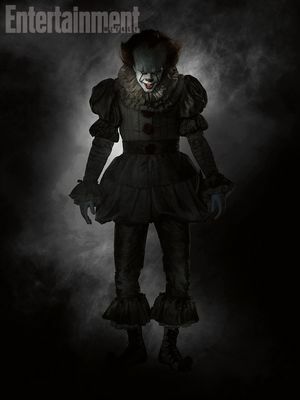 A psychologically shaking and bone-chilling, fear inducing movie about a demonic clown. 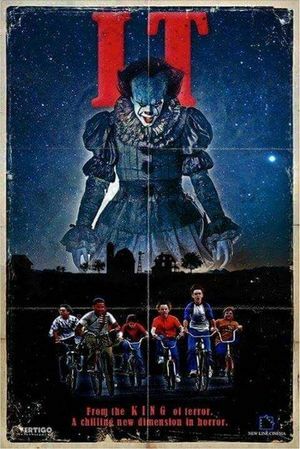 So yeah, this was not frightening or scary at all... — Set in the 1980's, the film follows a small group of young children in a small town with ALOT of problems, all of which focus entirely upon children and fear. 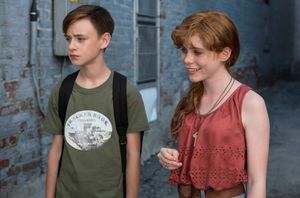 A particular strong element of this movie is the connection and amount that the viewer cares about the young children. 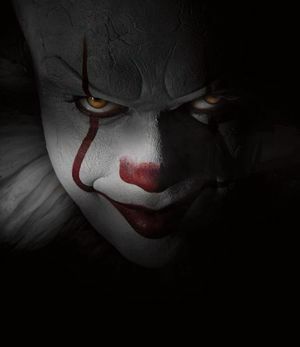 They all have problems, be it from their past or current lives, fears (Which 'IT' feeds off of) and so on. 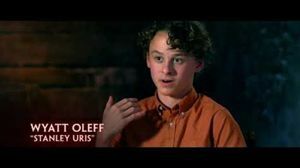 I really grew to care about each character, even as new ones are added throughout. And it was great to follow their arcs, actions and characters grow and develop and bound together for the greater good. 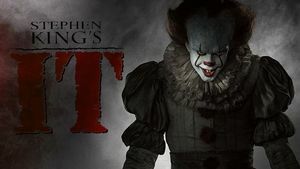 27 years later, Stephen King's IT has returned to haunt theaters worldwide for the first time since its debut on the small screen in 1990. 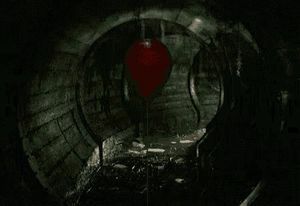 However, was its return warranted? 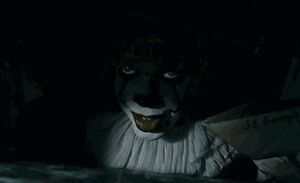 Let's find out and break down the 2017 adaptation of IT. 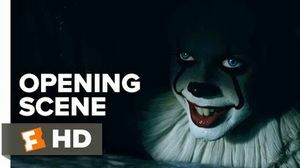 IT behind-the-scenes "Face Your Fears"
New 'IT' behind-the-scenes "Face Your Fears"
"The entity that is Pennywise focuses on what ever that particular child fears the most"..."It's very emotional and very terrifying" — Warner Bros. Pictures may have kicked off the unofficial countdown ticker for next week's theatrical release of Stephen King's IT by dropping a new behind-the-scenes look "Face Your Fears". Warning, those suffering from high blood pressure may need a 'happy' chaser immediately upon viewing. 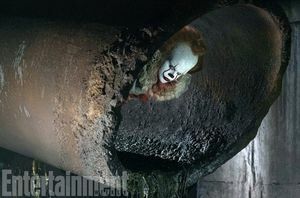 "It" teaser trailer is absolutely terrifying. 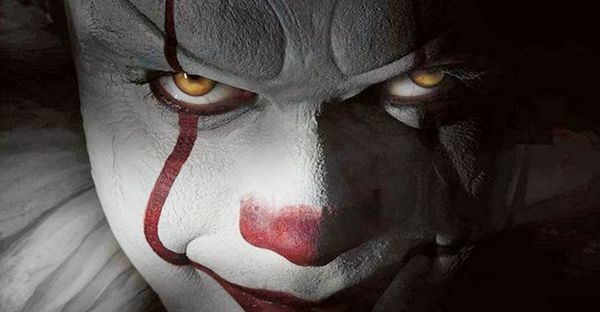 Stephen King's frightening clown is on its way to cinemas next year, with It slated for a September 8, 2017 release. 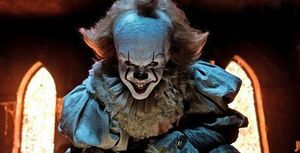 — To be directed by Andy Muschietti, the film initially had Tim Curry in the lead role, though the part is up in the air at this stage. 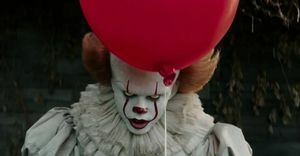 A new script is being written by Gary Doberman for Stephen King's It, while Andy Muscietti is set to direct following True Detective's Cary Fukunaga dropped out last May due to "creative differences."